The cultural committee of The Valley Of Flowers Housing Society, which is responsible for organizing various cultural initiatives in the housing complex every year during Ganesh Utsav and Navratri, through the initiatives of Mr. Jagjit Singh Arora, invited Tata Power to educate its residents on Energy Conservation. 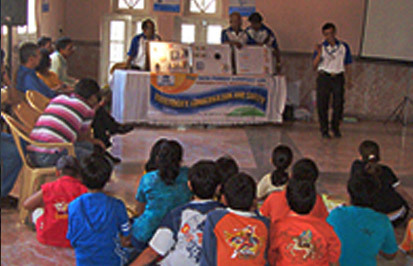 On 2nd October, 2008 was held this awareness campaign. 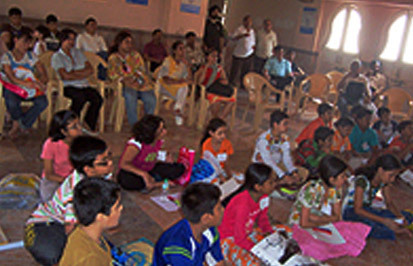 The event started with an Elocution contest for kids on "Alternate Sources of Energy" and a painting competition on "Energy Conservation". The winners were awarded gift vouchers by The Club Enerji (previously known as Tata Power Energy Club). In the entire housing society were displayed posters on energy saving tips to inform residents a week in advance about the programme The Tata Power team conducted an hour and a half session on the importance of Energy Conservation and the ways and means to achieve this. The event had an overwhelming response with a fairly large turn out of interested residents who pledged to save energy and protect the planet. It is heartening to note that they have already resorted to CFL lighting for their streets and are keen to install solar water heaters. They were also enthusiastic about having the Energy Conservation tips and Energy Calculator printed as a booklet and distributed to each of the families in their housing society.